The recent 7.8 earthquake is taking its toll on the Society of Mary’s communication. Both outgoing and incoming mail is impacted. Generally the time of the year when the province writes to Marist priests and brothers advising them of their appointments for the coming year, some have still not received their appointment by mail. The administration expects the letters might be stuck on State Highway 1 between Blenheim and Christchurch. 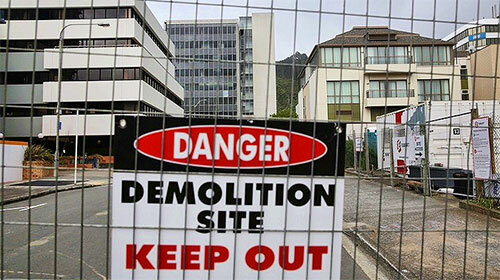 The demolition of a building on Molesworth St is also disrupting incoming mail. Housed nearby a quake-damaged office block in risk of collapsing, the Province’s PO Box is inaccessible and some mail remains in the PO Box. While the PO Box is closed, the province is collecting its mail from the mail centre in Kaiwharawhara. The province regrets it may not have received some correspondence and asks correspondents who have not received a timely reply to their letter to use an alternative method to check and see if the mail was received. As an interim measure the province is recommending sending correspondence as an attached email. Vicar General of the Society of Mary, Fr Larry Duffy visits St Patrick’s College, Wellington where Bursar General, Paul Martin SM was rector. Vicar General for the Society of Mary, Fr Larry Duffy arrived in Auckland on October 29 to visit the New Zealand province. He will be in New Zealand until mid November. 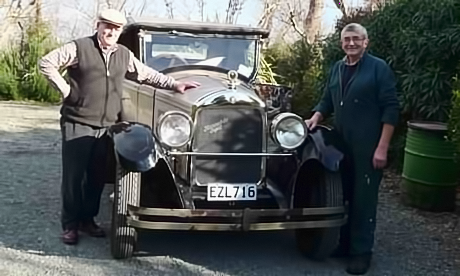 During his time in the country he will visit with each Marist individually, attend two, two-day Provincial Council meetings, a Finance Committee meeting and participate in regional gatherings in Auckland, Hawkes Bay, Wellington and Christchurch. 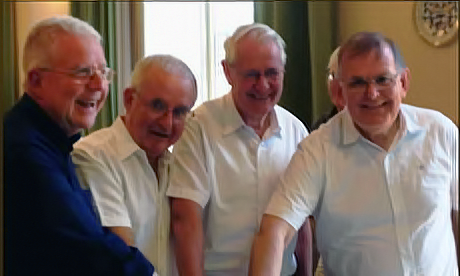 In a letter to Marists, sent prior to his arriving, Fr Duffy said he is looking forward to meeting New Zealand Marists and spending time with them and he hopes the time of information sharing and reflection will be mutually enriching; with a particular eye to future of the Society and the 2017 General Chapter. Fr Paul Martin has been appointed Bursar General of the Society of Mary by The Superior General Fr John Hannan. Paul is currently two years into his term as a provincial councillor and provincial bursar in New Zealand. Paul has extensive experience in administration and as a teacher in New Zealand secondary schools. 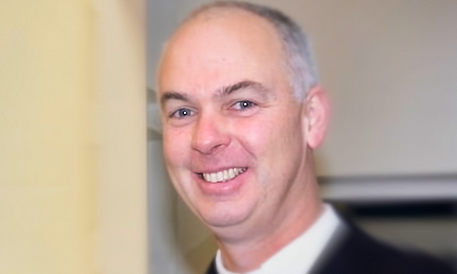 An English teacher at St Bede’s College Christchurch and St Patrick’s College Wellington, Paul also served a term as chaplain at Hato Paora College and Deputy Rector at St Bede’s College. Prior to his election as a provincial councillor and appointment as provincial bursar in New Zealand, Paul was rector at St Patrick’s College Wellington. Writing to the New Zealand province, Provincial, Fr David Kennerley called the appointment an “excellent choice”. “This is a tremendous compliment to Paul and an astute acknowledgement of the considerable range of skills and energy he has”, wrote Fr Kennerley. 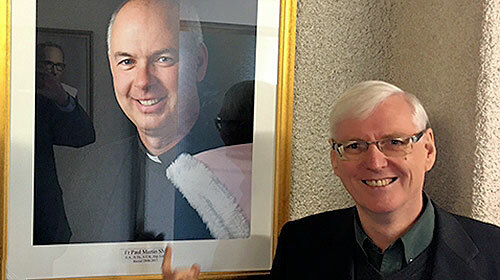 Paul’s appointment is effective from 1 March and follows the resignation of Fr Paul Cooney who has returned to Australia where he is undergoing intensive health care. Fr Tim Duckworth has been appointed Provincial Bursar and to the provincial council. 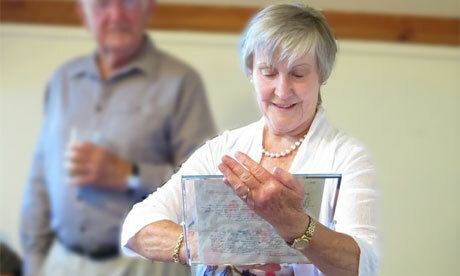 Denise Fugle has retired after 12 years as an accounts officer, working with the Society of Mary.